Rajant’s BreadCrumb LX5 is a rugged wireless device – for building and expanding core mesh infrastructure – that forms a mesh network when used in conjunction with other BreadCrumb systems. The LX5 contains as many as four transceivers and six external antenna ports. It provides Ethernet and Wi-Fi access point interfaces to enable data, voice, and video applications. This solution can operate in extreme environmental conditions and has several mounting options. Users can build a reliable, resilient, MIMO-based, private wireless network that will support a wide range of connectivity requirements and integrate with an existing network infrastructure. 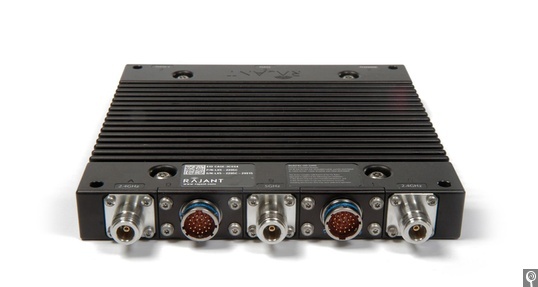 The BreadCrumb LX5 features include Rajant’s patented InstaMesh networking software, enabling the network to adapt to rapidly deploy amid quickly- or constantly-moving network elements. It has multiple transceiver configurations for high levels of network reliability, redundancy, and diversity, and low levels of interference, congestion, and equipment outages. The system also supports several cryptographic options used for data and MAC-address encryption and per-hop, per-packet authentication.